Team Texas Junior boys got 2 more duals in at the freestyle tournament with 8 total, and finished 3rd in the Green/Yellow pool out of 10 teams. 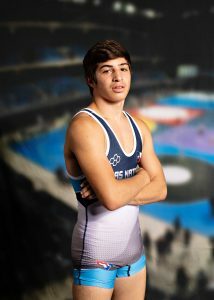 The started the tournament with the first 2 duals lost like in the Greco tournament. Their first dual lost was by Minnesota 1 51-16, who ended up placing 2nd to Ohio 1 who won the Junior National Dual Championship who just happen to be in Texas pool on the first day as well. Texas then dropped their next dual to Tennessee 40-29 before beating Alaska 39-29 for 7th in their pool. The Green/Yellow pool had 10 teams in it and Texas won 3 of 4 duals in the pool, then beat team Nebraska 2 49-21 for their 3rd place pool finish. Texas beat North Carolina 1 48-15, Lost to Minnesota 2 39-30, beat Kansas 2 45-20, and Florida 38-30. Some of the stand outs of the dual were Dominic Chavez who didn’t do well in greco but proved he owed the freestyle by going 7-0 and the only wrestler to not give up a single point. 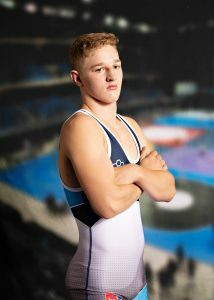 Mason Kruljac also went undefeated at 4-0, Kruljac was splitting matches with Robert Silva so his match count was low. 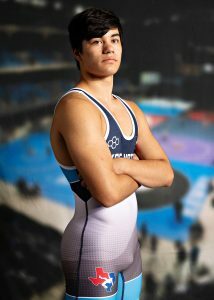 Daniel Manibog could very well be the MOW of the whole national duals for Texas by going undefeated in both styles. Manibog went 7-0 in freestyle only giving up 6 points and only 8 for the whole tournament. Aiden Conner was right there with Manibog going undefeated in both styles as well at 9-0. Conner went 5-0 in freestyle. 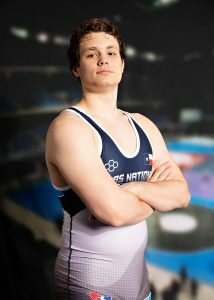 Conner was sharing time with Sean DelMonte at 220.